The global demand for banana flakes is increasing at a healthy pace since banana flakes are an important part for the production of fruit based food products and cereals. The food and beverage industry remains at the core of the growth of the global banana flakes market. 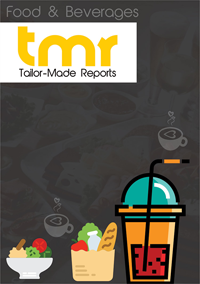 The bakery and confectionery sector within the food and beverage industry is an attractive segment apart from the infant nutrition sector. The growing demand from parents across the globe for better quality, nutritious, and healthy food for their children which are fruit based will lead to a soaring demand for banana flakes. Another trend which is expected to hold ground within the global banana flakes market is the rapid rise in the demand for organic banana flakes. Organic infant nutrition is also highly in demand despite their high cost. Banana flakes are also being used significantly in products such as ice cream and yogurt within the dairy industry. This trend is particularly growing in Europe. The growing awareness regarding the inclusion benefits of fruit diet on a daily basis is expected to accelerate the demand for banana flakes. Consumers are increasingly understanding that the daily consumption of junk food leads to adverse effects to the human health and are thus, shifting to healthier and organic food products. This is creating a favourable environment for the global banana flakes market. Players within the market are also putting their efforts towards innovation and creating newer food products which can make use of banana flakes. Efforts by players will pay off and help push the need for banana flakes. The demand for banana flakes has gathered pace in the food and beverages sector, supported by the widespread popularity of organic preparations. Banana flakes are increasingly being demanded among health-conscious populations as a part of daily nutrient intake. These are usually characterized by the high content of a variety of minerals including iron, potassium, magnesium, zinc, and calcium, apart from some of the essential enzymes. The product is also a valuable source of beta-carotene, different vitamins, and trace elements. Manufacturers and producers pay special attention to their nutrients not to get affected by the ripening and drying processes used. Banana flakes are gaining traction as nutritious addition to a variety of dishes and as sweeteners for desserts and baked goods. A rapidly rising health-conscious population spending on healthier food categories forms the key target market for banana flakes. The attractively rising demand for fruit-based food products for the daily intake of vitamins and minerals is a key factor contributing to the consumption of banana flakes. The demand for these flakes has also gathered steam with people increasingly inclined toward organically-sourced food products. In recent years, there has been a substantially rising demand for banana flakes in the bakery industry in developing and developed nations. The widespread consumption of conventionally-sourced banana flakes among worldwide populations is fueling the growth of the market. Banana flakes are also garnering popularity in the infant food section. Banana flakes have been occupying attractive place in global trade fairs catering to the sweet and snacks industry. Several of these innovative product categories form key quotients in the health and wellness sector offering healthy lifestyle choices to the global population. In January, Diana Foods, a part of Symrise Group, a German-based producer of flavors and fragrances, introduced raw bar made of banana flakes in the ProSweets Cologne trade fair 2018. A company producing natural well-being solutions for food market has combined banana flakes with dates to introduce exotic flavor. The unique texture and nutritional value brought by fruits is what makes product category attractive to customers, particularly those from the Middle East countries. The producer has also showcased a range of fruit and sweet inclusions to cater to the discerning palates of consumers inclined toward freshness and authenticity. Several other manufacturers of organic food products are also introducing banana flakes to be added to variety of bakes products including cakes to naturally sweeten them. These are popularly made with vine-ripened bananas and mostly air- or sun- dried to preserve the nutrient. A number of prominent food producers are also focusing on launching banana flakes with chemical-free formulations. The report offers comprehensive insights into the outlook of the market in various regions and factors boosting the growth in key regions. The study also takes a closer look at lucrative avenues and evaluates emerging prospects. Some of the key regional segments could be Asia Pacific, Europe, North America, Japan, and the Middle East and Africa. Asia Pacific is poised to present potentially promising prospects in the market. The rising inclination toward adopting a healthy breakfast is a key factor fueling the demand among consumers in the region. The North America and Europe markets are likely to rise at attractive pace over the forecast period. The report presents in-depth and critical insight into the prevailing competitive landscape. It also assesses the strategic impact of recent moves by top players. Some of the key players operating in the market include Top Line Foods Ltd., P&G Food Industries, Johs.Thoms GmbH & Co. KG, Rabeler Fruchtchips GmbH, Naturals LLC, Naturals LLC, Van Drunen Farms, Ingredient Inc., Diana Foods, and Bardakci Group.